Thank you to Uniting NSW/ACT for sharing this piece with our members and friends. This week, we join organisations around the world in recognising the spiritual care provided through professional chaplaincy and pastoral services. 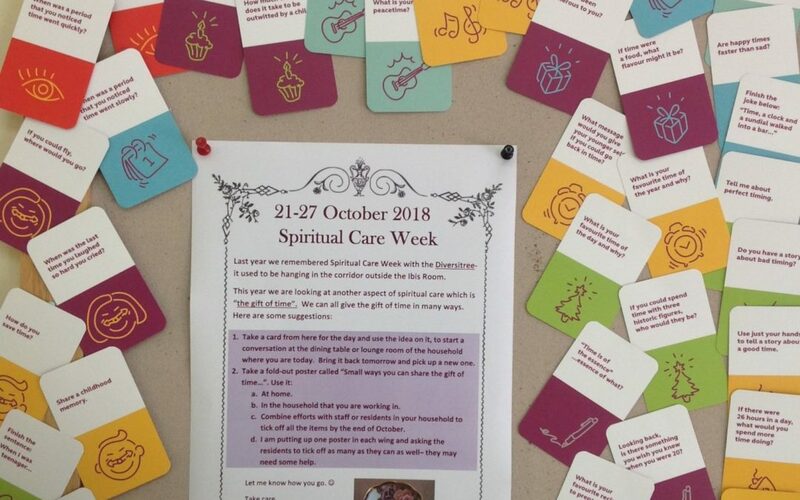 ‘Spiritual Care Week’ is a time of celebration and education. Our theme this year is: Hospitality – sharing the gift of time. Spirituality is an expression of seeking meaning in our lives, and finding a sense of purpose for being in this world. It is how we connect to ourselves, to others and God or the sacred. It is experienced through relationships, in nature, music, and our religious traditions. Every day, Uniting’s Chaplains and Pastoral Practitioners commit themselves to offering spiritual care through ‘generous listening’. “In generous listening, it doesn’t even matter why the other person feels the way they do. What matters is what is true for this person. And you simply receive and respect it. In that safe interaction, something can happen which is larger than before” (Dr Rachel Naomi Remen – ‘On Being’ Podcast). In the wonder and mystery, I see you. To be seen by another person reminds us that we matter, and our life is valued. When we are seen for who we truly are, when our stories are heard, we become more connected to ourselves and to each other. We become more connected to creation, and if we are people of faith, to God, however we name God. To our pastoral practitioners and chaplains, thank you for your commitment to hearing our diverse voices, and nurturing our spirits. To all staff who practice the art of generous listening, thank you.